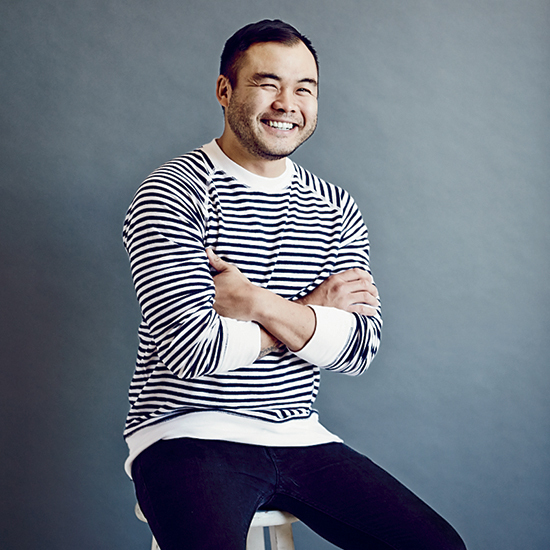 Chef Paul Qui of Austin's Qui is one of Food & Wine's amazing 2014 Best New Chefs. Here, he reveals his current obsessions. I was born in Manila and lived there until I was 10. All the cultures that inspire Filipino cuisine—Spanish, Japanese, Chinese—influenced me. But I didn’t appreciate Filipino cooking for a while. My parents would take me to Costco for food that I could microwave. I didn’t get into good cooking until I was in my late twenties. When I launched the first East Side King truck in 2009, I was chef de cuisine at Uchi. The original truck kitchen was eight-by-six feet. I’d go there every night after I closed Uchi; on weekends, I’d work 16 hours a day. It was a lot of fun, but I don’t know how I did it. I’d take off my chef coat, put on an apron and get to work. My friend Peelander-Yellow paints all the East Side King trucks. He’s in a Japanese punk band from New York City called Peelander-Z. His imagination is crazy and his work is so refreshing and fun. He designed our website, too. eskaustin.com. I look at ingredient lists on the labels of my favorite condiments to understand the breakdown of flavors. I especially love Tabasco, Jufran banana sauce, Crystal hot sauce, Kewpie mayonnaise, Red Boat fish sauce, Bull-Dog tonkatsu sauce, Heinz ketchup, Maggi seasoning and Colman’s mustard.